Apple at CES is making its consumer-related pitch clear, but if it wants to put even more life into its enterprise sales it must make FaceTime and iMessages more compatible with other platforms to support next-generation enterprise communications. Enterprises speak to their customers, and while enterprises are certainly (and appropriately) adopting Apple’s solutions across their internal infrastructure, they must still communicate with customers who may be using other platforms. That’s not easily possible with iMessages and FaceTime. Sure, you can send and receive communications via conventional SMS with Messages, but this still leaves many of the more sophisticated features of the app unavailable. Given that development of Messages apps seems to have been lacklustre at best, mainly consisting of a few games and thousands of weird emoji sticker packs, I can’t help but think Apple could unleash more potential by making its system cross platform compatible. Enterprise developers would then be more motivated to create business-specific apps for Messages as the reach would be universal across their customer base. It also makes sense to extend the feature with more support for enterprise-related tasks. There are some hints Apple may be working to find some ways to improve platform support on the service, but it will also need to find a way to provide effective encryption between platforms. When it comes to FaceTime, it’s worse. Think about Group FaceTime. I’d argue that this is one of the most sophisticated video chat services around, but at present it’s only really useful if you inhabit the Apple universe. That’s a shame, as it could be a powerful collaborative and customer relationship tool if it were made more compatible with other platforms. I can’t help but think it makes sense to introduce more features to the product, particularly built-in document sharing, collaboration and presentation tools. Think how much more valuable a collaborative FaceTime may become if equipped with tools like these and cross-platform compatibility. The Unified Communications (UC) segment continues to evolve, with big names across the industry offering their own solutions for this. The capacity to communicate and collaborate across and between enterprises and customers using a small selection of highly compatible tools is a business reality today. Apple doesn’t offer anything at this level at present, but I think it should. My argument is that extending its existing communication tools with UC-style features would reinforce the value of its platforms across enterprise IT. 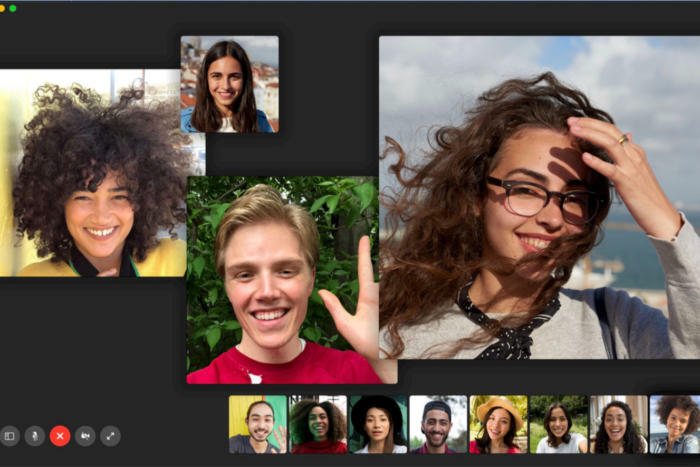 It doesn’t even need to introduce these tools on its own account, it merely needs to build the API’s third parties can use in order to extend its base messaging (FaceTime/iMessage) products with Unified Communication features. The thing is, UC tools are becoming smarter. Artificial intelligence inside these tools is capable of doing all sorts of useful things, from creating meeting dates to identifying project deadlines to collating documents, transcribing conversations and more. At best, collaboration is asynchronous, enabling close communication even in different time zones. AI helps augment this, providing highly effective enhancements to make the time spent working with others more collaborative. The challenge with so many AI features is their inherently weak security if they are depending on sharing data in the cloud. To what extent can these tasks be handled on the device(s) concerned rather than in the cloud, and how can enterprise pros maintain an effective data security audit when the US systems they use rely on third-party cloud services? With its own existing technologies that enable much of the heavy AI lifting to take place on the device, I think Apple has a powerful opportunity to create its own highly secure UC/collaboration platforms that may provide users with the chance to enjoy the benefits of 21st-Century communication without exposing their own, or their customer, data to the perils of 21stCentury surveillance. Apple certainly has enough cash to purchase some cutting-edge technologies to support such a move. While the opportunity may be there the lack of effective cross-platform compatibility for Apple’s existing communication tools is a big obstacle. That’s why I argue that a move to improve that compatibility would provide enterprise IT with yet another strong signal of Apple’s fast-growing enterprise intent. Doing so would also provide an essential building block from which it could develop the kind of ultra-secure, ultra-private smart collaborative services on which the future of every enterprise depends.